I have been a bit of a wearables skeptic ever since Android Wear was unveiled at Google I/O last year. Following that, Apple's original announcement of the Apple Watch just added to my list of questions about the category. Hoping to find some answers, I watched yesterday's Apple Watch keynote with great interest. Curiously, what I found were more questions. Before jumping in, I have to say that I really enjoyed the recent debate around the Apple Watch (for completely non-analytical reasons). The certainty with which some have predicted the imminent success or failure of the product has been very amusing. Unfortunately, my powers of clairvoyance aren't nearly as evolved, so all I have are questions. That said, it could be worth studying some of the arguments put forward in these debates. One argument put forth by optimists is that consumers will buy smartwatches because they appeal to their personal sense of design and fashion. In turn, this sustained demand will spur app developers to build for the platform. While some seem confident, I can't pretend to understand the fashion industry well enough to support or critique this view. I may understand my personal fashion sense, but that's quite worthless when it comes to gauging the fashion sense of millions of consumers. And sadly, 30 minutes of googling is unlikely to make me an expert on this topic. For this post, I'm more interested in the second argument framed by optimists, i.e. app developers will build innovative apps for the Apple Watch (and Android Wear by extension), which will stoke demand for this category. While there is nothing wrong with this line of reasoning, it does strike me as a bit superficial. In order to convince mass-market users about the (functional) need of this product category, smartwatch apps cannot simply replicate smartphone apps. Rather, developers will need to discover compelling use cases by building apps that weren't viable or possible on smartphones. 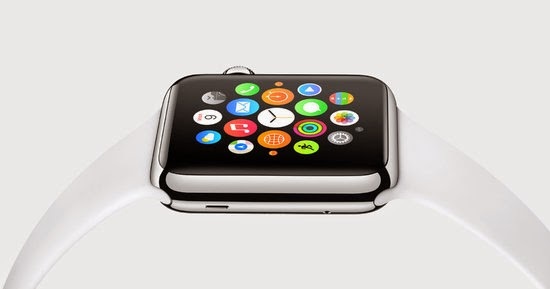 Many believe this is an eventuality because the smartwatch presents a new form factor for developers. But that, again, may be a simplistic viewpoint. In my opinion, there are two primary constraints that affect app innovation on a platform -- 1) The dominant interaction model, and 2) The context or situation in which the device is used (partially influenced by the form factor). A platform that changes one or preferably both of these constraints triggers the development of new kinds of apps. Here are a few examples: Smartphones introduced an interaction model based on touch and, unlike PCs, they were carried everywhere. To use a popular example, the latter made it possible to implement on-demand taxi booking services like Uber and Lyft -- users may not be near a PC when they need a cab, but they're likely to have your smartphone (we'll get back to this example later). In contrast, tablet applications were very similar to smartphone applications, but suited to different contexts (and layouts to fit the form factor). Since tablets were more likely to be used when stationary, it resulted in "lean back" apps like Flipboard (and not "on-the-go" apps like taxi booking). Now consider an example from smartwatches -- both Google and Apple demonstrated the use of on-demand taxi booking apps on their smartwatches (Lyft and Uber respectively). But this seems to just replicate smartphone functionality. When users need a cab, they are just as likely to have access to their smartphone, as they are to their smartwatch. This pattern describes most apps that were demoed by Apple and Google. This is because both smartwatches and smartphones could be used in similar settings or contexts. They also tend to rely on the same dominant interaction model (touch). Notifications and access to smartphone functionality don't quite seem like use cases that will capture the imagination of mass-market consumers. This brings me to the questions that Apple's event inspired: How can developers invent new kind of apps if they are subject to the same constraints? What kind of new interaction models can we think up for smartwatches? One possibility is Apple's digital crown (even though touch seems to be more "dominant" for now). What about contexts? In what contexts would consumers use a smartwatch and not have access to their smartphone? While working out perhaps (judging by the celebrity appearance, Apple seems to think so)? Or while driving? What contexts are more relevant for mass-market consumers? Or are smartwatches meant to appeal to a niche? Attempting to explore these questions may be far more useful than attempting to make wild, long-term predictions. Apple's brand may ensure a successful launch for the Apple Watch. There will be lines. There will be sell-outs. But what happens after that, both with the product and with the industry, is much less clear.